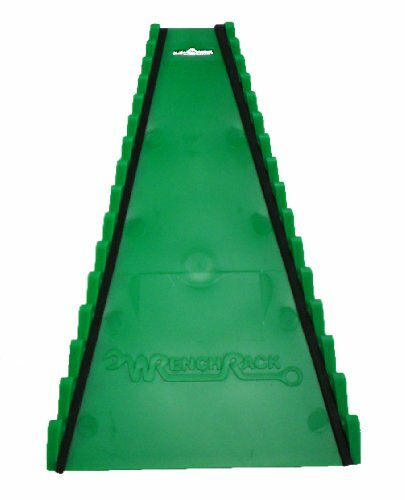 Green with 15 slots to hold your wrenches in place and organized. Reverse Orientation. Why lose valuable space in your tool box. The Superior Reverse Wrench Rack Design with a back allows you to pull the right size wrench to take care of the job you need and return it to the position you know your wrench should be stored in. Never lose another wrench in your drawer. Very easy to use and allows you to do what you are suppose to be doing. Making Money Turning Your Wrenches. Holds a 1" combination wrench in a drawer with a height of 2"
View More In Porch & Patio Lights. If you have any questions about this product by Protoco, contact us by completing and submitting the form below. If you are looking for a specif part number, please include it with your message.